(NZ Antique & Historical Arms Incorporated). Our members collect a wide range of items from buttons to medals to the range of firearms and they are encouraged to preserve and research their items. The Wellington Branch holds a meeting each month (except January). All meetings are normally held in Petone. Meetings usually start at 1:00pm and finish about 3:30pm. At each meeting our members are asked to bring along items from their collections that match that month’s theme to show to other members. The monthly displays can consist of anything from books, military china and badges to significant military items from collections. In November each year the branch meeting is a Christmas Luncheon where members can bring along the cream of their collections to display. 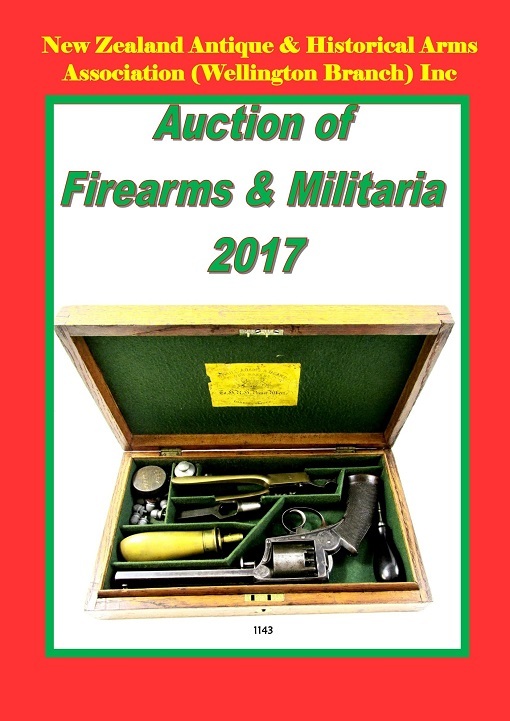 Each July for over 30 years the Wellington Branch NZA&HAA has held a club militaria auction. This is one of the largest militaria auctions held anywhere in New Zealand, and it has become synonymous with a wide range of items up for sale. We normally expect the catalogue to have over 1500 items to be sold, and we often have another 300 - 500 odd lots on the Tender Tables. The July auction has become the first port of call for many of the Association's members throughout the country when it comes to the sale of their collections and surplus items. Cataloguing the items takes months of the members' time, and they enjoy seeing new and interesting items that surface from time to time. The annual auction is a great social gathering and the highlight of many a collector's year – especially when they 'win' a long sought after item. The Wellington Branch holds six Range Days per year at the Hutt Valley Deerstalkers Range. See the Calendar page for this year’s bookings. Each year the club tries to undertake one or more trips to visit museums, auctions or other clubs. As an example, in 2015 the club hired a mini bus and revisited the workshops of the Waiouru Museum. We saw a range of military vehicles and tanks being restored. This part of the Waiouru Museum is never normally seen by the public and the club members appreciated the rare opportunity to see these items. In previous years the club has visited the Omaka Air Museum and the Christchurch Airforce Museum and gun batteries.